On our recent trip to Santorini this summer we took a cooking class. While Tomato Keftedes wasn’t on the menu our dear host, Sofi, had them prepared for us as we arrived, paired with Vinsanto, a traditional Santorinian wine. They were so good that I had to ask her for the recipe. 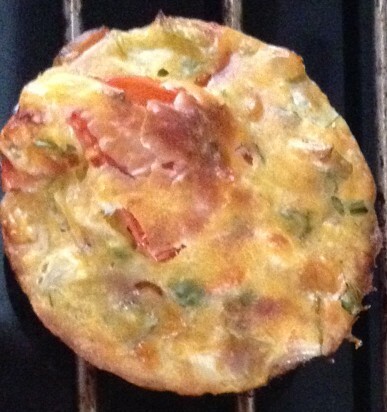 The original Keftedes are fried. While I was on my honeymoon I could justify eating fried foods. I mean this was my reward after all that hard work to get into that white dress, right? Well now that I am back home I have no way to justify dropping these little bites of heaven into a pot of oil, so I decided to bake them instead. I must say they are super tasty. A couple of things to note, the original recipe calls for feta rather than parmesan and parsley and mint. Since I decided to make this last minute I used what I had in my fridge. And as Sofi says, “You put whatever you want in it”. So I listen to the chef made my version of it. Enjoy! 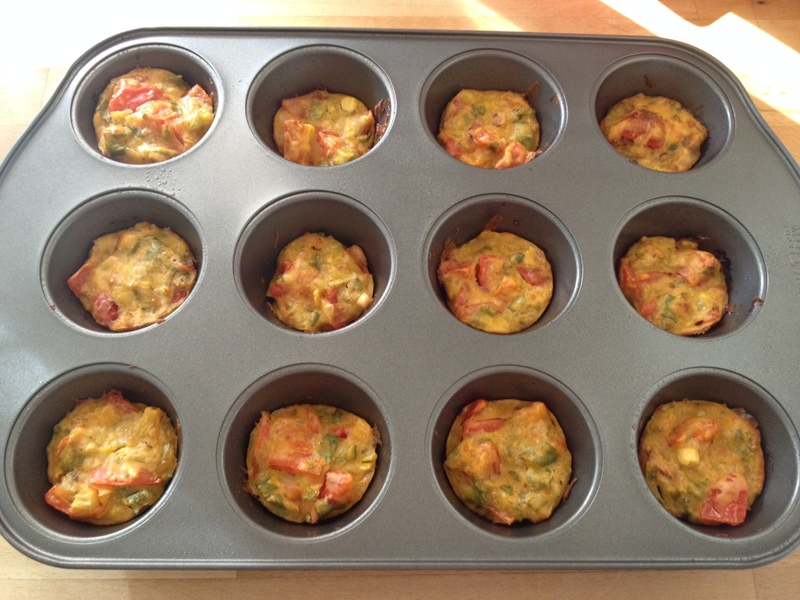 Preheat oven to 400 F (200C) and mist a 12 cup muffin pan with nonstick spray. 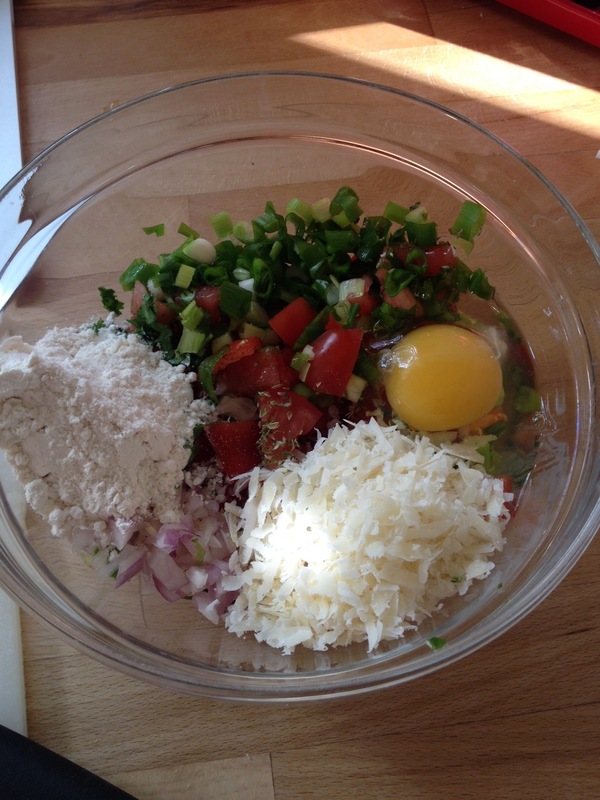 Chop all ingredients (green onions, red onion, cherry tomatoes, cilantro). In a bowl stir together all ingredients until mixed well. If you don’t mind getting dirty, use your hands smashing the tomatoes and mixing the ingredients together thoroughly. Spoon the mixture evenly in each cup of the muffin tin and pat down with the back of the spoon to make sure mixture is compact. Bake for 15-20 minutes or until the tops are golden. Enjoy warm.